If there is one theme that permeates Once Upon a Time, it’s redemption. Storybrooke is a kind of starting over, so it makes sense that some of the characters are trying to make up for their wrongs of the past. No one in Storybrooke is searching for redemption more than Rumplestiltskin/Mr. Gold (Robert Carlyle). As he has said in the past, he has only ever broken one deal. That deal is the source of his biggest regret. Time after time, Rumplestiltskin has proven unable to choose love over power. So what will he do when he is confronted face to face with the consequences of his broken deal? In what is the quintessential episode of the season so far, the past catches up with Rumplestiltskin and Emma (Jennifer Morrison) in ways they never expected. We know the entire curse was devised as a means for Rumplestiltskin to reconnect with his long lost son, Bae. If Rumplestiltskin has one regret, it’s that he didn’t follow his son through the portal. Unable to give up his power he abandoned his son, sending him to a strange land all alone. As a fan I have been looking forward to the reunion between father and son. Knowing how sorry Rumplestiltskin was made it easy to think of the reunion as ultimately a happy occasion. I wasn’t expecting open arms from the son, but I thought maybe he had been waiting for his father to show up all these years. As it turns out that is not the case. And Rumplestiltskin had one other little dark secret he had kept from everyone. In the backstory we learn how Rumplestiltskin earned his status as a coward. His story is the most intricate of all the characters on the show. Throughout the two seasons we have seen him as the town coward, but loving father, who unwittingly becomes a power hungry practitioner of black magic. We now see him as a normal man who heads off to battle in the “Ogre’s War.” He lives in the shadow of his own father who was known as a coward. Desperate to escape the same moniker, he is eager to fight. That is until a “seer” offers a grim look into his future. Here we get a clever bit of storytelling, when Rumple hobbles himself, thinking it will change his fate. The question is, was it fate or just self-fulfilling prophecy? The kicker comes at the end in a little twist of fate it seems even he didn’t know. We can assume Mr. Gold (since we are switching back to Storybrooke) knew who Emma was when he arranged for Regina (Lana Parrilla) to adopt her son Henry (Jared S. Gilmore). But did he know who Henry’s father was? It doesn’t seem as though he did. Bae being Emma’s long-lost boyfriend Neal (Michael Raymond-James) was not a huge surprise. Things were certainly pointing in that direction when he showed up in Emma’s back story episode, “Tallahassee.” So not only is Neal confronted with his father, he learns he has a son. And Mr. Gold learns he has a grandson. It’s a complicated situation. I was happy they went in the direction of Neal rejecting his father. Rumple/Mr. Gold still thinks he can wave his magic wand (literally) and make things better. He goes so far as to suggest he can make his son 14 again, so they can start where they left off. It’s a ludicrous and utterly selfish suggestion. He does not care at all who his son has become. He wants to erase his adult son, so he won’t have to be faced with his mistake. He can pretend he didn’t let his son grow up without him. Mr. Gold was not the only one being selfish. At first she’s tempted to not tell Neal or Henry of their relationship to each other. She is understandably angry at the circumstances that led to Henry’s adoption, but makes decisions she has no right to make. The confrontation between them all was one of the most emotional moments the show has seen all season. As I mentioned earlier, a little twist of fate changes the circumstances a little. The seer also told Rumplestiltskin a boy would be his undoing. 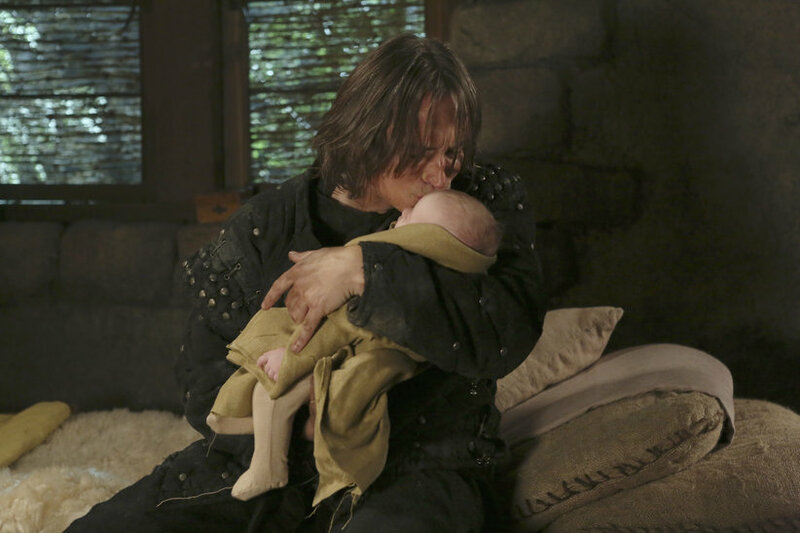 Rumplestiltskin vows to kill the child before that can happen. What will he do now that he knows the child is his own grandson? So, did he know Henry was the child all along? Has he been plotting Henry’s death since he brought the baby home to Regina? It’s a bit sinister, but that is how it seems. What would Belle (Emilie de Ravin) think of that? Speaking of Belle, she is still in the hospital with amnesia. 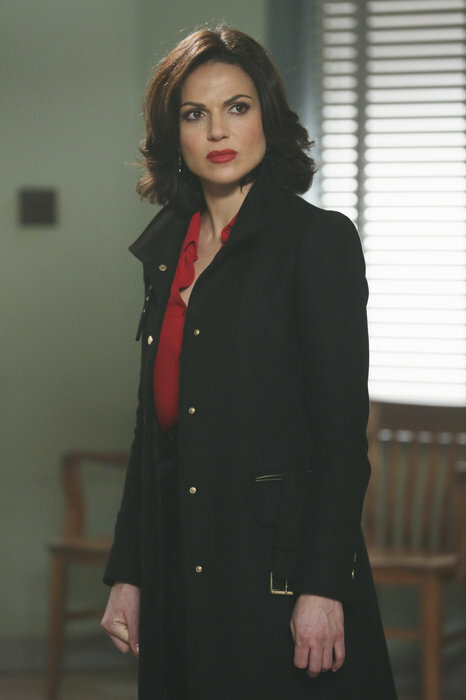 While Mr. Gold is away Regina and Cora (Barbara Hershey) hatch a plot to defeat Rumplestiltskin, or at least control him by stealing his dagger. Apparently Belle was left with clues as to where the dagger is hidden. I’m not sure why he would leave her with the info, since she doesn’t know to protect the secret. And in a storyline I don’t yet care about, the mysterious man in the car crash is snapping videos of “unexplained phenomena” to send to his wife. I suppose they’re leading up to Storybrooke being exposed to the public, but all of that takes a backseat to the much more interesting story of Rumplestiltskin, his son, and his grandson. At least in my mind it does. Overall, I thought this was probably the best episode of the season. It brought some real emotional drama to the show. I’m looking forward to see where they go with everything. I so agree with you, best episode so far. I was kind of lost with the Tiny episode. 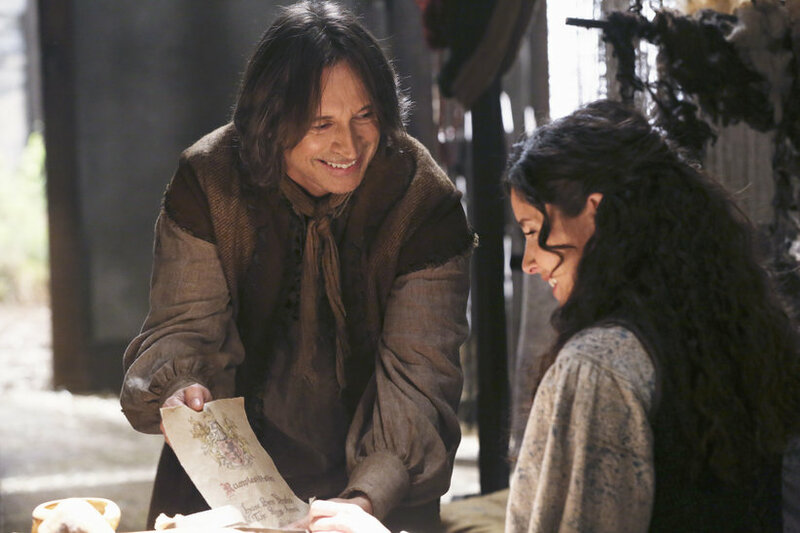 When I saw the previews I figure Rumpelstiltskin/ Mr. Gold son was Emma’s lost love or as the kids say “baby’s daddy”. Now please let Belle become herself soon. I prefer the Belle with memory than the screaming Belle in the hospital. Maybe Cora restores her memory to get the dagger?